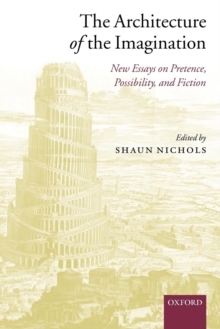 This volume presents new essays on the propositional imagination by leading researchers. The propositional imagination--the mental capacity we exploit when we imagine that everyone is colour-blind or that Hamlet is a procrastinator--plays an essential role in philosophical theorizing, engaging with fiction, and indeed in everyday life. Yet only recently has there been a systematic attempt to give a cognitive account of the propositional imagination. Thesethirteen essays, specially written for the volume, capitalize on this recent work, extending the theoretical picture of the imagination and exploring the philosophical implications of cognitive accounts of the imagination. The book also investigates broader philosophical issues surrounding thepropositional imagination. The first section addresses the nature of the imagination, its role in emotion production, and its sophistication manifestation in childhood. The essays in the second section focus on the nature of pretence and how pretence is implicated in adult communication. The third section addresses the problem of 'imaginative resistance', the striking fact that when we encounter morally repugnant assertions in fiction, we seem to resist imagining them and accepting them as fictionally true. In thefinal section, contributors explore the relation between imagining, conceiving, and judgements of possibility and impossibility. The Architecture of the Imagination will be an essential resource for the growing number of philosophers and psychologists studying the nature of the imagination and on its role in philosophy, aesthetics, and everyday life.